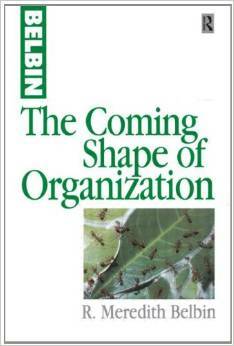 In The Coming Shape of Organization, Dr. Meredith Belbin uses his insight and expertise in teams to take the reader on a fascinating journey. Dr Belbin moves from exploring the problems of typical hierarchies to restructured, flatter organisations, which give rise to their own set of issues. In search of alternative systems, Dr Belbin outlines ways in which continuous deployment and career development can result in more effective use of people’s talents. He describes the worlds of the higher social insects, where evolution has generated a common set of principles governing the most advanced of organisations. He then suggests that these integrated strengths could be fruitfully combined with the strategic abilities of humans, for increased effectiveness. Dr Belbin foresees a model in the form of the helix, in which individuals and teams move forward on the basis of excellence rather than function. Here, information technology can assist in the evolution of human organisations to enable them to become both more advanced and more viable in the future. Nothing changes without reason. For one system to replace another, smoothly and effectively, two conditions are needed in combination: a sense of disillusionment with the old system along with some beckoning of the new. If you wish to purchase this book or others, please contact us.